It's one of the most frequently asked questions. Just how many of the mega jackpots are left on the National Lottery scratchcards? The biggest jackpot on offer is the £4m that's up for grabs on the ‘£4m Blue‘ and ‘£4m Red‘ scratch card. At £10 each, this card is not for the faint-hearted but the rewards could be absolutely huge, particularly as you have a 1 in 3.19 chance of winning something on them. The ‘£4m Blue‘ has no jackpot-winning card left. However, the ‘£4m Red‘ card still has 2 jackpots up for grabs. Considering both cards cost the same amount (£10) you stand a better chance of winning a jackpot with the ‘£4m Red‘ scratch card. It goes without saying that the National Lottery Blue and Red cards are two of the most well-known scratch cards in the country. Nevertheless, the National Lottery also produces other big jackpot cards. Let's take a closer look at the cards with jackpots still available to win. 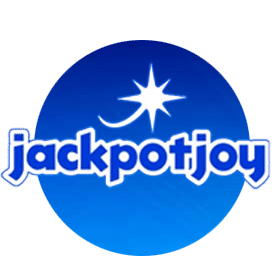 Instant millionaire – 2 jackpots still up for grabs! With 2 jackpot prizes worth £1 million still in circulation, the ‘Instant Millionaire‘ card is certainly worth a look. Yes, the jackpot on ‘Blue & Red' is bigger. However, the odds of winning a jackpot with this card are greater. As more winning cards remain on sale. It's also worth noting that the Instant Millionaire is half the price of the National Lottery Blue and Red scratch cards. Plus the total number of Instant Millionaire cards produced is less than either Blue or Red. Overall, the card offers a 1 in 3.66 chance of winning something. Another card with scope for pulling out a big win is the 20x game from the National Lottery. The card costs £5 and has a jackpot worth £1 million, along with plenty of smaller prizes too. Currently, the game still has 2 out of its 5 jackpot winning cards in circulation. There is a 1 in 3.64 overall chance of winning a Prize on each Scratchcard in this Game. Although 21,626,950 of these scratchcards were produced, which is much higher than other games. This card is an interesting option to consider. Whilst it's true that this jackpot isn't huge in comparison to other National Lottery games. Nevertheless, few of us would turn our noses up at a £250,000 windfall! Currently, 2 jackpots are still available! With an overall print run of 39,970,350 and a purchase price of just £2 – this game represents decent value for the player. There is a 1 in 4.08 overall chance of winning a Prize on each Scratch card in this series. Below you can view a selection of the most popular scratch card games to play. Jackpots on these cards range from a few thousand to over 1 million. These cards are available to play at sites like Jackpot Joy, Paddy Power and Betfair. Click on an image below to read a full review of these cards. Don't forget that we have a totally free to play scratch card game. It's just for fun, you can't win any real money – but you can't lose any either! Click the button below to play.